Truck drivers and trucking companies are responsible for routinely inspecting their trucks and performing necessary maintenance. When they fail to follow these guidelines, innocent lives are put at risk. Semi trucks that weigh thousands of pounds and travel at high speeds need to be in safe operating condition. Due to the speed and mass involved in commercial truck travel, failure to maintain truck parts can lead to serious accidents, causing catastrophic injuries and wrongful death. A recent example in West Virginia occurred on February 27th, 2014 when two people were seriously injured when a tire flew off of a tractor trailer which was traveling south on I-79, then bounced across the interstate, and went through the car’s windshield in the northbound lane of traffic. The collision happened at approximately 4 p.m. Thursday on Interstate 79 northbound just north of Jane Lew near Lost Creek. The man who was driving the car was flown to Ruby Memorial Hospital with severe injuries and his passenger, a woman, was transported to a local hospital. According to the news reports, the driver of the truck kept on going, not recognizing he was missing a wheel. The truck was driving southbound when the tire came loose, traveled across the median and struck the car driving in the northbound lane. Reporters called this a “freak accident,” but this type of collision resulting from faulty tractor-trailer maintenance is not as uncommon as you might imagine. These things “happen” as a result of someone’s failure to follow and obey DOT trucking regulations. These things happen because of neglected truck maintenance and unperformed mountaintop safety checks. These things happen when annual and periodic inspections are not performed as required. These things happen when rims are not properly secured. These things happen when wheels and rims are cracked or broken. These things happen when stud or bolt holes on the wheels are elongated (out of round). These things happen when nuts or bolts are missing or loose. At Robinette Legal Group, we have extensive experience handling truck accident lawsuits for clients throughout West Virginia. While some law firms handle the occasional truck accident case, our firm makes truck accidents and personal injury law our primary focus. Our attorneys have the investigative resources to uncover the causes of truck accidents and determine who was responsible for the accident. We have access to experts in accident reconstruction, truck maintenance and other relevant fields who help us prepare our cases. We will put our skill and experience to work for you to help you obtain full and fair compensation for the losses you have suffered. Have you or a loved one been injured in a truck accident? 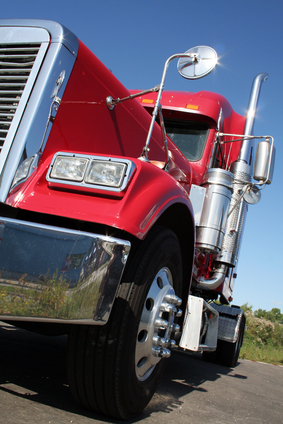 Call today to speak with an experienced accidents due to truck maintenance lawyer. Contact us to learn how we can help you recover full and fair money damages for your truck accident injuries and financial losses. From our offices in Morgantown, our truck accident lawyers represent clients in car accident and motor vehicle injury cases throughout West Virginia: 304-594-1800 or after hours, 304-216-6695. Source: WBOY News: “2 Transported to Hospital After Tire Breaks Car Windshield on I-79.” February 27, 2014.